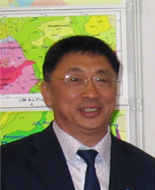 In addition, Dr. Zhou has good communication channels and personal relations with Chinese government officials. He has operated business and investments in Hainan province since 2002 and has very good relations with local government. Dr. Zhou has had a keen interest in Australia horse racing since 1987 and has participated in many "Melbourne Cup" events.